The Hiranandani Parks is not just a tremendous place to live in where there is an extrapolative availability of amenities, serene living style, and absolute world-class accommodations. It is also a location, a hot one at that, where filmmakers have chosen to shoot some of their movies’ scenes. The Hiranandani Parks’ location is such that it would be considered a sin if it is not used as a location for a movie at all! 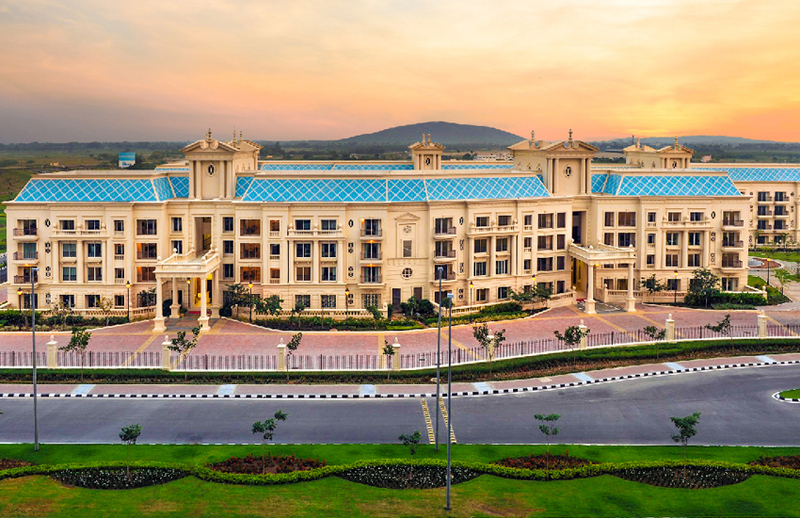 The Hiranandani Parks is known to offer world-class plots in Oragadam, and is one of the best places to live in. With superb green surroundings, it is only right that it is also used as a backdrop for some of the movies that have been coming out recently. Here is a list of the movies that the Magnificent township of Hiranandani Parks have been featured in. Junga is a comedy film that was release in the month of July this year that stars the one and only Vijay Sethupathi who is fondly referred to as ‘Makkal Selvan’. The film is a mafia heist comedy film that focuses upon Vijay Sethupathi’s character and how he salvages his friend’s death by travelling to France. One of the many riotous scenes involve his character travelling by share auto to “murder” somebody, and that scene takes place in the magnificent township of the Hiranandani Parks! 96 is one of the biggest hits this season and released only a couple of weeks ago. The film delves into a relationship that sprouted from the two lead characters’ childhood, and does not unfortunately work out due to a number of circumstances. The movie explores how they interact after almost twenty years, when they eventually meet during a reunion. In this movie, the backdrop of Vijay Sethupathi’s characters’ house is set at the Hiranandani Parks, and there is a wide shot of the entire place which is seen through the balcony. This shot looks simply stunning. Imaikkaa Nodigal is a crime-thriller film that was released this year to rave reviews. It is a crime thriller film that stars Atharvaa, Anurag Kashyap, and the evergreen Nayanthara who has been doing some excellent films of late. The Hiranandani Parks is featured quite a couple of times in the movie. Nayanthara’s introduction scene is filled with the backdrop of the glorious Hiranandani Parks. There is also another shot with Nayanthara and Atharvaa, where they talk with each other. There are other scenes as well, so scroll down to check out the screenshots from the movie! This is one of those Santham flicks that is just hilarious from start to finish. It’s a romcom which has some great moments, shouldered by Santhanam’s excellent acting, and coming timing. There is a hilarious fight scene in the movie which has the Hiranandani Parks in the background, and because of the backdrop and the well-choreographed scene, the scene overall just adds so much value to the movie. Check out its screenshot below! We hope you enjoyed reading this article! Do stay tuned for more interesting content! And, as usual, do let us know your thoughts and queries in the comments section down below!